Louis looks like a Midd and is going through the stage of the "Winston Churchill" looks that George had at that age. What is the point of this at Christmas? Looks like they blew up BP. ^ Yes . . . *cough* . . . why not a cozy photo of the two lovebirds in front of the Nottingham Cottage fireplace with their dog? Maybe because it's all a fantasy? 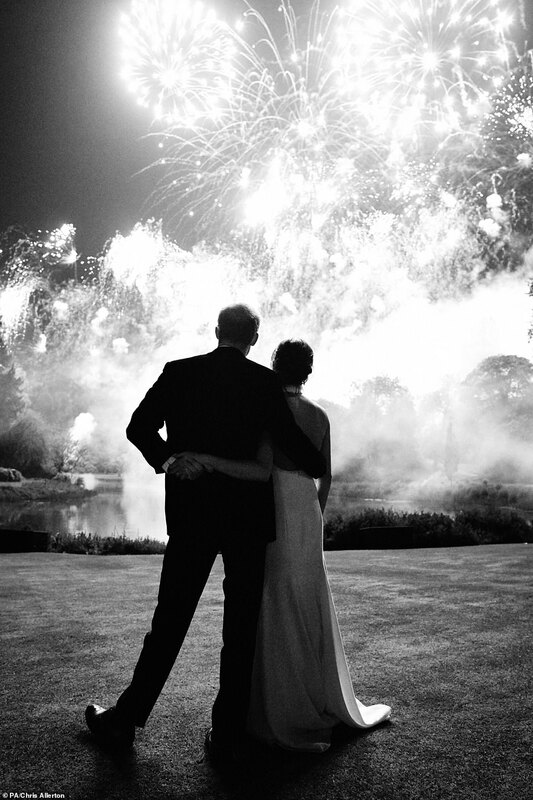 I like the photo on the Sussexes' card. I think Harry and Meghan chose that shot for their Xmas card because it reminded them of their May wedding day, a very special day in their lives. Next year their card will probably feature a 'baby makes three' photo, as by then they will be a family with a nine month old. It will probable be taken in the gardens of Frogmore Cottage, as by then they will have settled down there. Is that the Sussexes Christmas card or just more "look at us"? If so, turning your backs to people is not a particularly warm message to send. The wedding's over. It's the holiday season and it'd be nice if you took the time to reach out and not just keep shoving their fabulousness down people's throats. Yes but this will be a card sent to personal friends and family for the most part. Those are people who would remember the wedding, remember the reception and party. There's nothing particularly festive about the Cambridges' card either. They're out in the garden, no Xmas tree or colours. Charles and Camilla are sitting on a garden seat looking at each other. That photo looks as if it was taken in the summer. Not festive either, and it doesn't have to be IMO. The Sussex card is just a photo that reminds people who were there of a special moment in a fantastic day, one that included fireworks. As I said before, next year they will most probably choose to have a photo with their new baby, and in future years, when there are more children there will be more family-type shots like William and Kate's. Meggles' hair looks messy even in a dark shot! At least this behind shot saves us from her Narcissistic Gaze. Harry and Meghan's backsides. On a Christmas card. Lovely. It's plain rude to send a Christmas card of yourself with back turned. How do you convey disapproval? Turn your back. Says it all. Kufc the lot of you, here we are. That silly picture giving the back to the camera is Smurkles idea. And not a new idea. Change the background for a beach and you almost have the invitation to her first wedding. I'm not going to complain. If they had taken one for Christmas, it would be double hand on bump. The Sussex Christmas Card photo should've been used for the wedding thank you cards. I'm shocked that they didn't take a new photo, as much as Meg loves pictures and Harry would just go along with it. You wouldn't know that any of them were Christmas cards unless you were told because there isn't a Christmas theme anywhere. I'm surprised MEggles chose a photo that doesn't show her face. Or more recent one with the belly cupping. It's very Great Gatsby-esque. And not festive at all. I'm sorry but that kid is NOT adorable in any way, shape or form. SOme rave over them because they are royals. But they are not really super attractive. Maybe Louis will outgrow the heavy eyebrows? Charlotte looks cute and has a Diana vibe in that picture. I always liked George and he looks fine here. Louis looks different to his siblings imo. I dont know who he looks after. 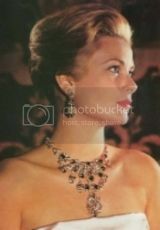 ^I disagree about the Diana vibe with Charlotte. More a Council Caro vibe. Odd that all their Christmas photos seem to have been taken in summer. Not buying the happy family act. That christmas card has been totally photoshopped. With each passing day, The Viperette looks more and more like The Viper. Louis is weird looking. Chocolate Eyes George looks just like Mike Middleton. Here is a narration about the Christmas trees at Buckingham Palace. They were grown in Windsor.